It probably wouldn’t be stretching the truth to state that Dr Ilijaz Pilav was the last man to leave Srebrenica. Forcing his injured patients into the care of unwilling UN staff, the doctor ran back to the post office to make a last ditch attempt to radio Sarajevo for help. As he raced across the road from the hospital, over the brow of the road behind him he could see hundreds of Bosnian Serb soldiers who had breached the town with murderous intent in their eyes. They were metres away from him when he realised that the town had been abandoned by the international community. With only minutes before they arrived, and with artillery shells pounding around his ears, he took the life or death decision to run for the hills, while his brother decided to head towards the UN base in Potocari. 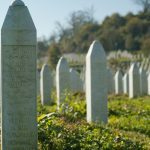 In the three years Srebrenica was under siege by Bosnian Serb troops he saved countless lives, making life or death decisions every day. But it is this decision – the decision to part ways with his eldest brother at the side of the road – which continues to haunt him. Ilijaz speaks quietly and softly, but his voice commands attention. He’s tall without being imposing, and there is something about his manner which suggests absolute authority without any hubris. You feel that could trust him with your life. Now the Chief of the Thoracic Surgery Department in Sarajevo’s main hospital, his story blurs the line between doctor and soldier. With only two years of general practice under his belt, he found himself aged 28, one of only five doctors at the beginning of a war, caring for more than 50,000 inhabitants. “After the Bosniaks regained control of Srebrenica, we five young doctors came together, and discussed opening the hospital. 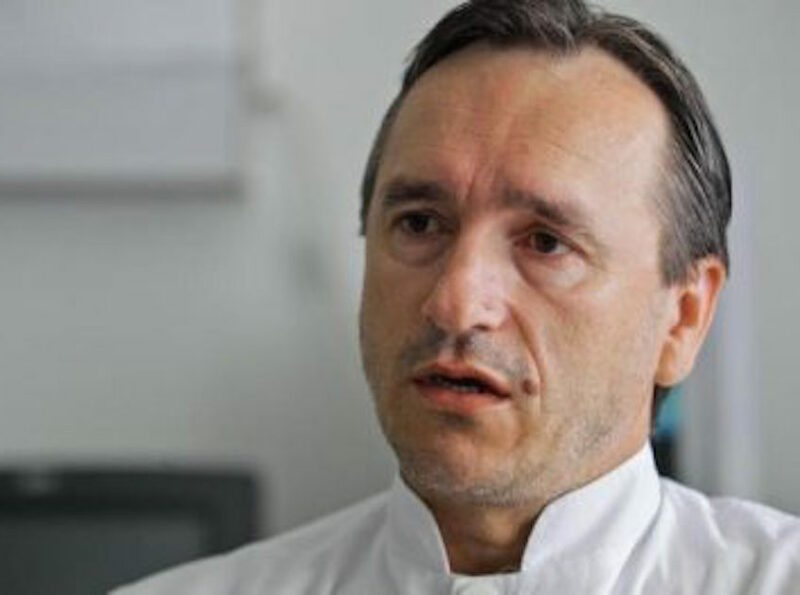 There was another doctor, but he was killed early on by an airstrike while tending to the wounded.” During this time, Ilijaz was still commander of his military unit, but was shortly after ordered to work at the hospital full time by Srebrenica’s army commander Naser Oric. “If a commander dies,” Oric said, “he can be replaced. But a doctor can’t.” Compelled to be on the front line to help his fellow soldiers, Ilijaz worked out a compromise. He would be the designated field doctor and head out with the makeshift Bosnian army when they were engaged in fighting. Ilijaz is keen to point out the special support of the doctors of Medicin Sans Frontieres, who supported them through the war. They brought humanitarian aid and staff , both of which proved invaluable throughout the effort. His gratitude, he says, is eternal. Ilijaz was still part of the army staff. One can only imagine the intelligence he was party to as a senior member of the defence, and the responsibility that brought. The night before they had been assured that NATO would attack Serb positions the following day with air strikes. In amongst the chaos, panic and utter fear of that day, Ilijaz still retained hope of salvation. He ran across to the post office where the army staff was located, and where a small unit of 20 soldiers stood ready to extract him as the last man from the town. 200 metres up the road the Serbs were advancing. The hospital and road was being constantly shelled. Ilijaz stops. There are few things as heartbreaking as seeing a strong, brave man brought to silent tears. And his silence fills the room. In that thirty seconds it’s clear that Ilijaz is a broken man. That the strength he carries is due to the weight of responsibility and guilt he feels. This is undeniable. The journey through the woods was fraught with danger. Despite being the last to leave Srebrenica, he and his group made it to the Tuzla in the Free Territory in six days – rather quicker than the many other thousands who attempted the journey. From the first day until the last, he remembers being constantly under attack from shells, water poisoning, snipers and mines. He witnessed an ambush of men in which he estimates between 500-1000 men and boys were killed near a place called Kravica. Dead bodies littered the paths in front and behind him. He had caught up with his medical colleagues at this time, and they still tended to the injured and wounded while they marched, ensuring those who could not walk were being carried. “It is a horrible feeling – not being able to help people.” But he feels rightly proud that their efforts saved many lives.